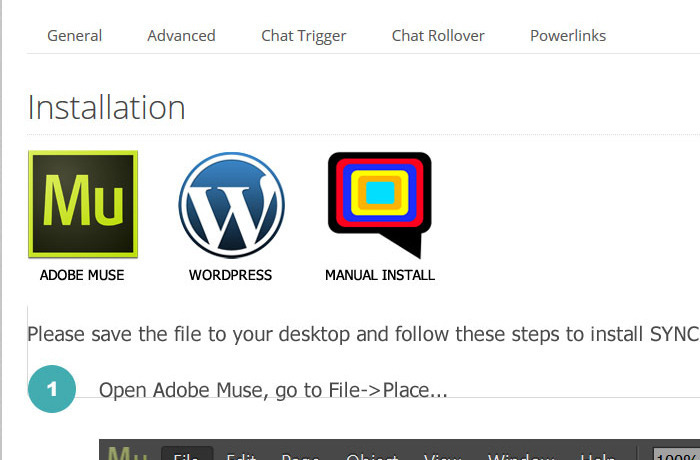 Our Muse chat tool plugin will allow you to easily add SYNCRO to your website. 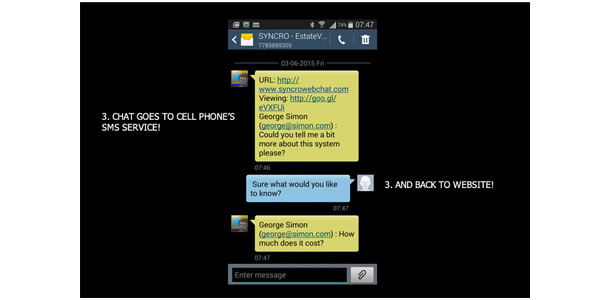 SYNCRO allows you to chat with your website visitors using your phone’s SMS service. 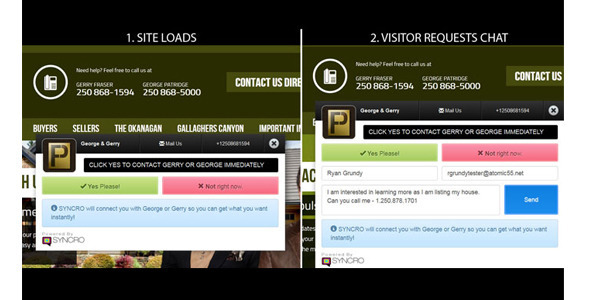 You can also add text me tabs, and integrate SYNCRO directly into your forms so they send to you via text. This plugin comes with 1 month free service which is a 50 value. 1. PC chat to PC chat (standard chat) 2. PC chat to text, text back to PC (chat to SMS) 3. Text me tabs (chat on the go between phones). 4. Powerforms (contact forms that are texted as well as emailed) 5. CRM and lead conversion tracking. We track all chats, form submissions, and click to call) 6. Group messaging. Chats can be sent to multiple people at once. The first person to respond, takes up the chat, while the others follow along. 7. Chat AI – intelligent messaging if you cannot get to the chat request. 8. Chat rollovers – Roll the chat to another operator ‘s cell phone if you miss the chat.